Aliens Hidden Stars info about the game-Games2Rule. Aliens Hidden Stars is another type of point and click new hidden star game developed by hiddnogames.com. 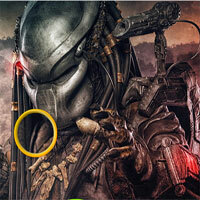 Find all the hidden stars within the time duration which are hidden on these Aliens pictures. Be careful because some object can make you confuse so click only on correct place. For your each 10 wrong click you will lose your 30 second. Good luck have fun!